8 Health Benefits of Tea | Eat This! Many different studies have found a link between drinking tea and preventing cancer, including skin, breast, lung, colon, esophageal and bladder cancer among others. Tea contains powerful antioxidants that help to fight free radical damage to the cells, a condition known to increase the risk of cancer. Tea may also boost the body’s immune system and help to cleanse the body of harmful, cancer causing toxins. Tea may help aid in cancer treatment. A study at the University of Missouri found that green tea working in tandem with gold reduced prostate cancer tumors by 80% in mice. A Scottish study found that a green tea flavonoid compound helped reduce tumors in lab tests. All types of tea contain flavonoids, a powerful class of antioxidants. Flavonoids are particularly noted for their ability to cleanse the body of free radicals, support the cardiovascular system and prevent cancer and other diseases. They may also slow the effects of aging. Tea can provide support to the body’s immune system by boosting the number of regulatory T cells in the body. Lab studies have also found that tea contains a substance that helps to prime the immune system to fight off bacteria, virus and fungi. Tea is believed to help prevent hardening of the arteries and lower the risk of coronary heart disease. A study in the European Journal of Clinical Nutrition linked drinking just three cups of tea per day with a reduced risk of heart disease. The high antioxidant content in tea is believed to play a significant role in its ability to protect the heart from disease. The Archives of Internal Medicine reported that drinking black tea three times per day led to slightly lower blood pressure levels over a 6 month study. Researchers at the University of Western Australia found that drinking 8 cups of tea per day significantly lowered blood pressure levels. 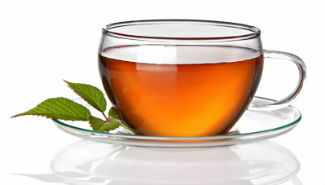 The antioxidants in tea help to prevent oxidation to LDL cholesterol and may help to increase HDL cholesterol levels. The large concentration of polyphenols in tea is believed to help stop the absorption of LDL cholesterol while not affecting HDL cholesterol levels. A study in the Journal of Nutrition found that drinking five cups of tea per day was linked with weight loss. Long-term studies of habitual tea drinkers found that tea may be great for improving and maintaining bone density and strength. Regularly drinking tea over the course of many years may improve bone health.